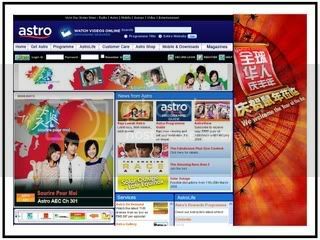 ASTRO ALL ASIA NETWORKS plc (ASTRO) is Malaysia’s leading cross-media group with a significant presence in DTH (Direct-To-Home) TV services and commercial radio. Astro, the subscription TV service commenced operations in 1996 with 22 channels and currently broadcasts over 100 pay-TV channels across Malaysia and Brunei, to over 2 million subscribers in four major languages. Its state-of the-art digital broadcast facilities at the All Asia Broadcast Centre and at Cyberjaya multiplex has capability for digital TV, radio and data services on satellite and terrestrial broadcast networks, wireless telephony and the Internet. ASTRO’s subsidiary, MEASAT Broadcast Network Systems, enjoys an exclusive 20-year license for satellite DTH transmission in Malaysia. The Group is actively involved in origination, aggregation and distribution of content in Malay, Chinese, English and Indian languages, in addition to third party content. With over 24,000 first run hours of original multi-language content, the ASTRO Entertainment Network (AEN) encompasses more than 20 television channels across various genres, with plans to increase these in the near future to serve an ever evolving customer profile.